The 21st Niederrhein Championship is coming up! On saturday 1st of september the crew from Viersen and Mönchengladbach (Germany / NRW) celebrates the traditional contest for 21 years. You shouldn't miss this. The participation is free as usual & you roll in the groups A (sponsored) B (from 17 years) C (until 16 inclusive) as well as BMX Best Run. 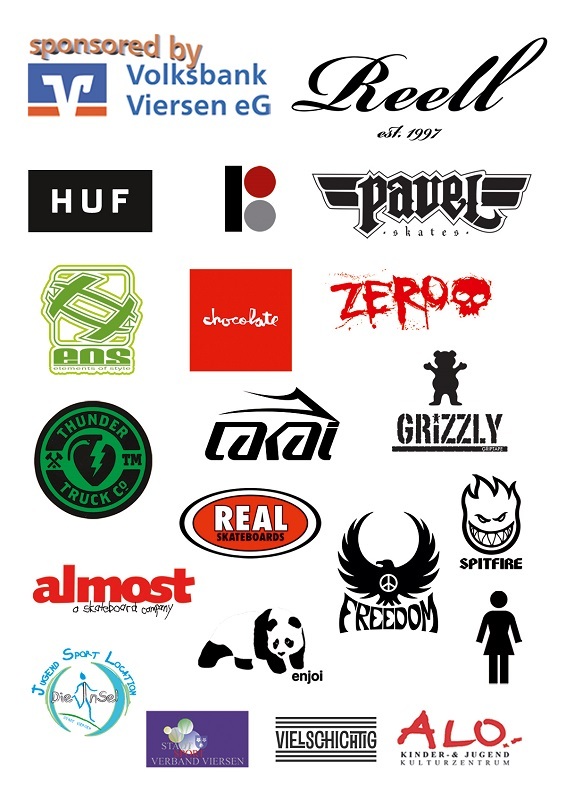 For the sponsored ones there is 400,-€ to dust powered by REELL, HUF & GRIZZLY Griptape. There will be a LAKAI Best Trick Contest, too. The unsponsored ones in B + C get a lot of Stuff. A great BBQ for the narrow valley is available & good sound of the EOS crew (Berlin & Mönchengladbach) as well as host of OG Pav, Reell Rider Patrick & the TM. Top atmosphere awaits you, we are looking forward to it! 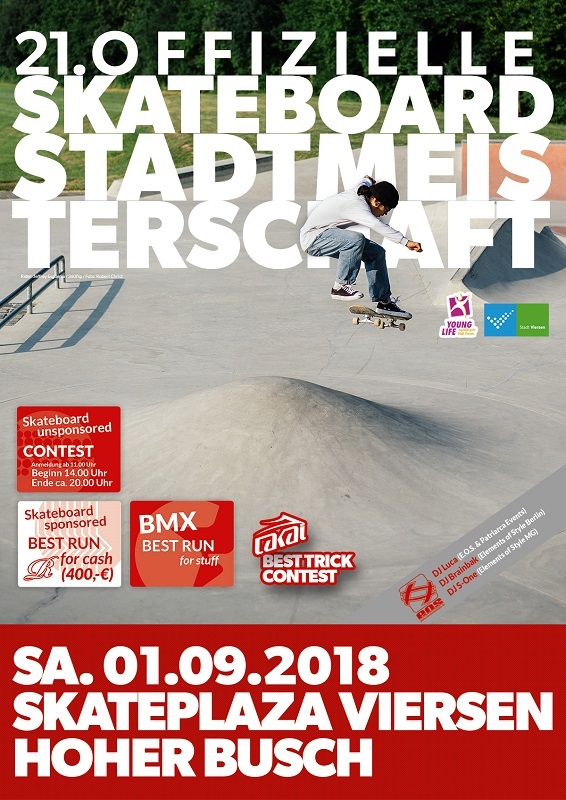 21st Stadt (Niederrhein) Championship / Viersen (NRW) / Skate Plaza - Hoher Busch / Aachenerstr. / Sa. 01.09. This year the cult party series SOUNDSURVIVOR will take place before the contest on Friday, August 31. The EOS crew welcomes you to the BOX MG! 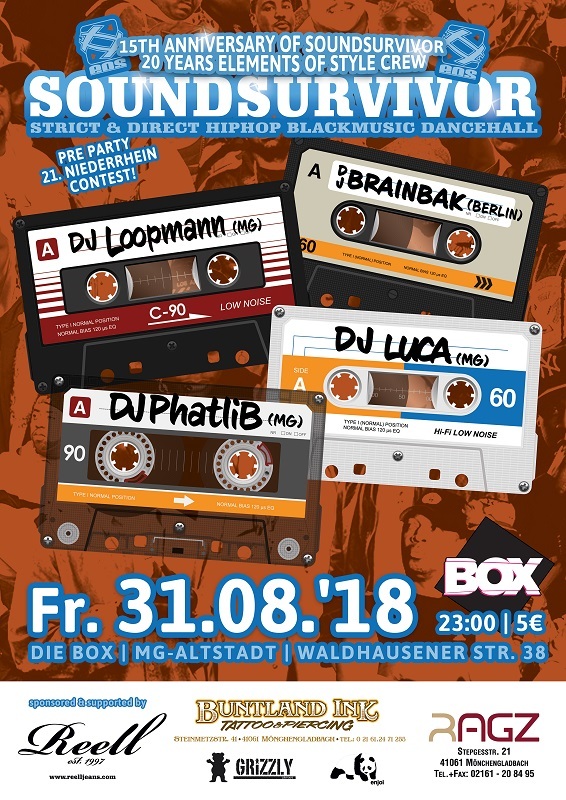 Soundsurvivor / DIE BOX / Waldhausenerstr. 38 / Moenchengladbach (Germany / NRW) / Fr. 31.08.